Sorry this post is a little late. Like I said in my post yesterday, I've gotten sick. It's mostly better today, but I'm feeling a little weak. Luckily, Andrew and I live very close to his loving grandmother who took care of me and Chelsea yesterday. There is something truly special about mothers which is why today for Tune in Tuesday I chose "Capri" by Colbie Caillat. Something you may not know about me is that I'm the last child of twelve children in my family. I can only imagine the love and patience that is required to raise twelve children, especially twelve with such huge personalities like are in my family! I never realized how much love my mother must have for me until I had a daughter of my own. I love my little girl so much and would do anything for her. I suppose that's why my mother has sacrificed so much for me. Every day I am grateful for what my mother has done and continues to do for me and our family. 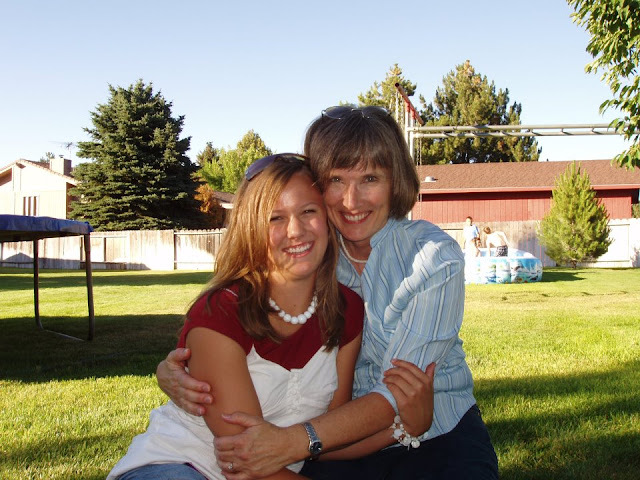 I hope that I can remember all of things she taught me and her wonderful example. I hope that I can become the woman and mother that she believes I can be. I hope I can be half the woman and mother that she is. Thanks, Mom.